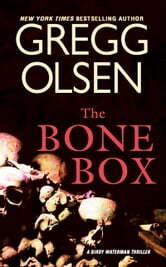 They call it the Bone Box. A collection of old cases, solved and unsolved, that continue to haunt forensic pathologist Birdy Waterman. None is more disturbing than the first. After two decades, Birdy still remembers the screaming. The blood on the boy's hands. The body of a girl, butchered in the woods. Birdy's testimony helped put her cousin behind bars. Now, twenty years later, she wants to reopen the box. Reexamine the evidence. And rekindle her fears that a killer walked free--and is closer than ever. I bought this book on a whim and unexpectedly loved it, except it was way too short. I'm definitly looking forward to reading more about Birdy. Don't open the box if you want to close it again. This book is a great short introduction to the Waterman and Stark series. The book focuses on Waterman and how her world is shaped by her past. It was really good and helps to set up next book. I read it in 2 sittings, because I could not put it down! An extremely well written story - couldn't put it down. Will look forward to other Gregg Olsen books. Short but still exciting. It had a good view of how some people see the Natlve Americans. Agood end to a sad story. Very insightful and enjoyable. I will definitely purchase more from this author.